The Deputy Speaker, Yobe State House of Assembly, Dr. Garba Ibrahim Kurmi is dead. It was gathered that he passed on, Monday, following a protracted illness. The lawmaker died at the Yobe State University Teaching Hospital Damaturu, according sources close to his family. 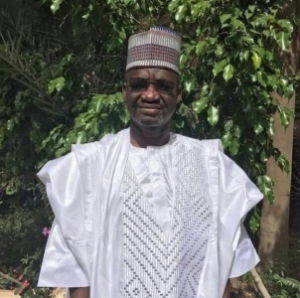 Until his death, the late Deputy Speaker was a member of the State Assembly representing Fika I (Fika/Ngalda) on the platform of All Progressives Congress (APC) and the chairman security, petition and legislative compliance committee of the house, as well as member of various standing committees. He has been in the Assembly since 2011. The deceased during his lifetime could not secure his party’s ticket for the 2019 election, following a loss in the primary election to Alhaji Yakubu Suleiman Malori. A Medical Doctor by profession, the deceased was survived by 2 wives and 8 children. DAILY POST gathered that his remains will be committed to mother earth tomorrow morning, February 19, 2019, in Damaturu, according Islamic rites.